Micro cut shredder is the best for highly confidential documents, these shredders are able to shred into very very small pieces, they have highest security levels and shredded papers are impossible to rearrange again, tell me how its going to be possible if a single A4 sheet is cut into 1000's of pieces ! Well if you use these shredders you are definitely safe. 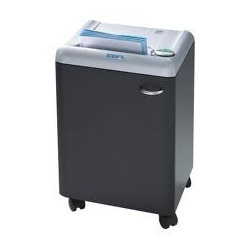 Now they are not too expensive either as they used to be earlier, these shredders are available with Silent Tech making them noise proof - ideal for modern office environments or at home too. Client satisfaction is our prime motive, keeping this in mind we manufacture quality Micro Cut Shredder. Our product is of lesser means and helps in lowering work load. These machines are made from superior quality raw material and using advance technology. It helps in working efficiently and is highly durable. Extremely safe operation – ideal for small work groups.